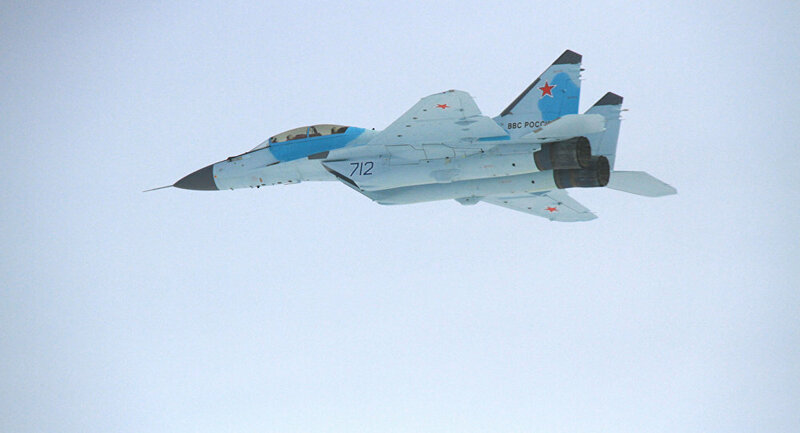 Test flights of Russia’s fourth-generation MiG-35 fighter aircraft (Fulcrum-F) will begin later this summer and last into next year, the United Aircraft Corporation’s (UAC) General Director Sergey Korotkov said Tuesday. Korotkov indicated that MiG-35 serial deliveries to the ministry could be contracted after the tests. “The aircraft is completing the general assembly stage, and should move to flight tests in accordance with the schedule. We will begin state tests as part of the Ministry of Defense program at the end of summer. The tests will be carried out until next year,” Korotkov told RIA Novosti at the Sirius education center for gifted children. The MiG-35 is a multipurpose 4 ++ generation fighter, it is a further development of the MiG-29K/KUB and MiG-29M/M2 combat aircraft with improved combat effectiveness and versatility, as well as improved performance. The JSC Russian Aircraft Corporation MiG has presented the first batch of MiG-35 multi-purpose warplanes. Flight tests of the multipurpose plane will begin in 2016. The MiG-35 has a necessary set of avionics enabling the use of all means of currently available air weapons against aerial, ground and surface targets. It also had a single or a double seat option which was previously assigned to specialized training and combat aircraft. Today, the corporation has been working on the preparations for the production launch of the new generation 4 ++ fighters. “We have done a lot to increase the life of the aircraft and to reduce the cost of its operation, which is essential for the light fighter. An additional competitive advantage of MiG-35 is the possibility to use the exploitation of MiG-29 infrastructure. We hope that the MiG-35 will go into Russian Aerospace Forces in the period of 2018-2020,” the General Director of Corporation MiG, Sergei Korotkov said. • It has a range of 5th generation aircraft characteristics etc. “The contract for the R & D work is in progress. We have carried out the first stage of this project — which is the technical part. It has been protected and accepted by the Ministry of Defense. That is why we go to the part of the contract, which was signed by the Ministry of Defense. The aircraft can reach speeds of Mach 2.23 and fly as high as 19,000 meters. In addition, the aircraft can carry a full range of existing and prospective aircraft weapons. “It simultaneously captures 10 targets and can strike four to six targets at the same time,” Korotkov said. The jet is armed with a 30mm gun, air-to-air, air-to-surface, anti-ship, anti-radar missiles, rockets, bombs and aerial mines. The MiG-35 aircraft was first presented internationally during the Aero India 2007 air show.